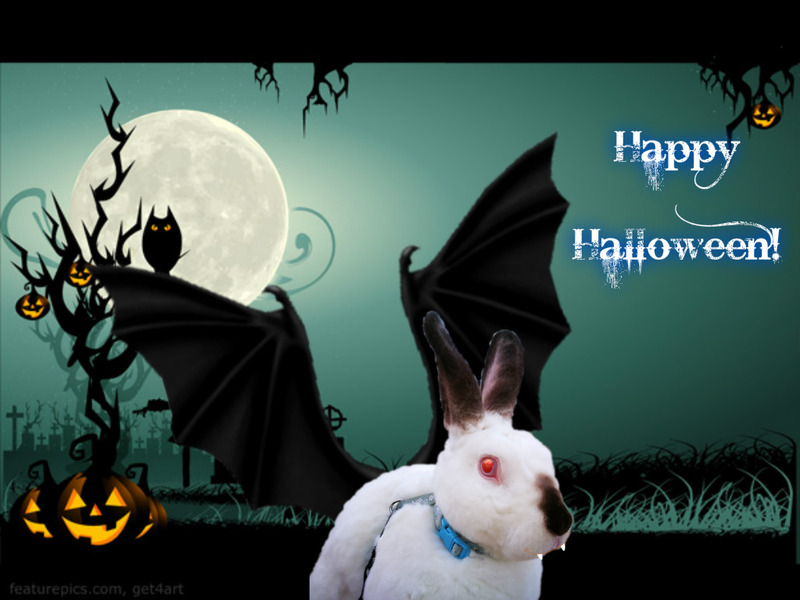 They rounded the corner the mist and gloom rolled in all eerie…..
Onward they went through the gloom…. 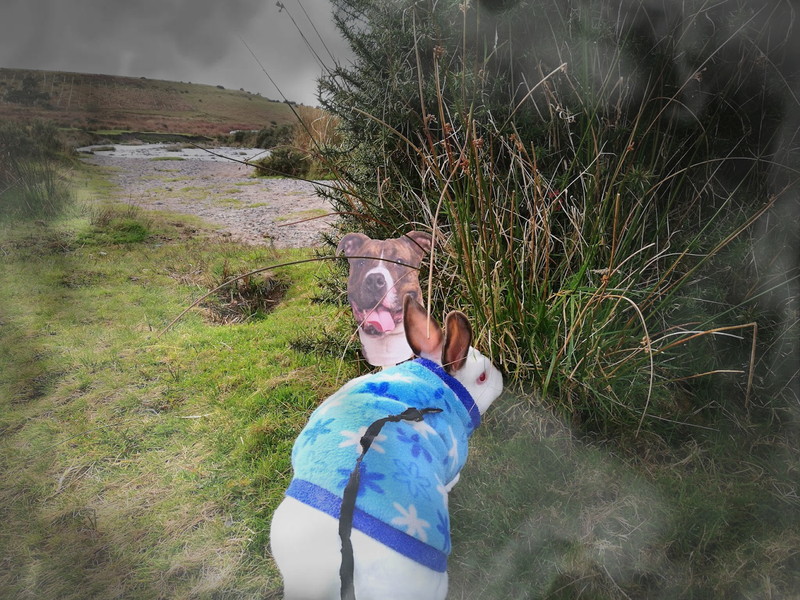 The gloom deepened ,then there was a flash!…..
And there a queer House did appear!…..
then we nipped to Badgers Holt on the same river…. 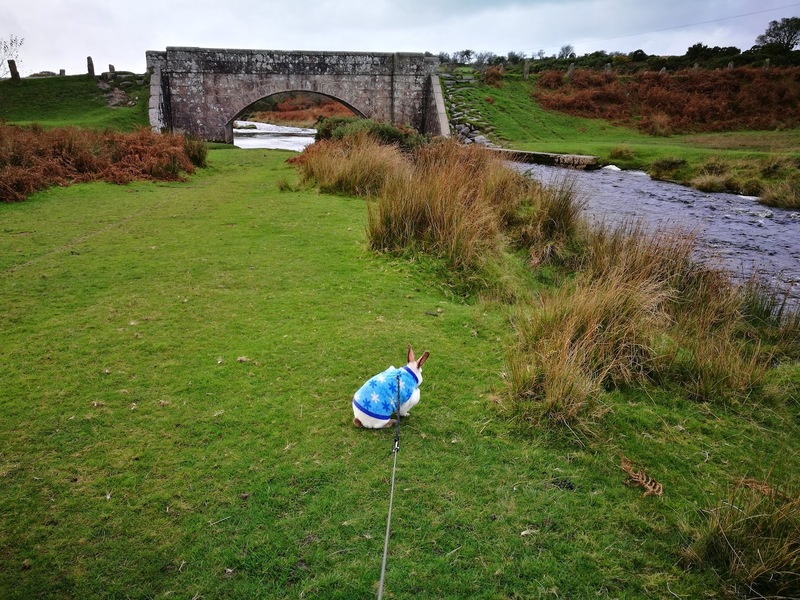 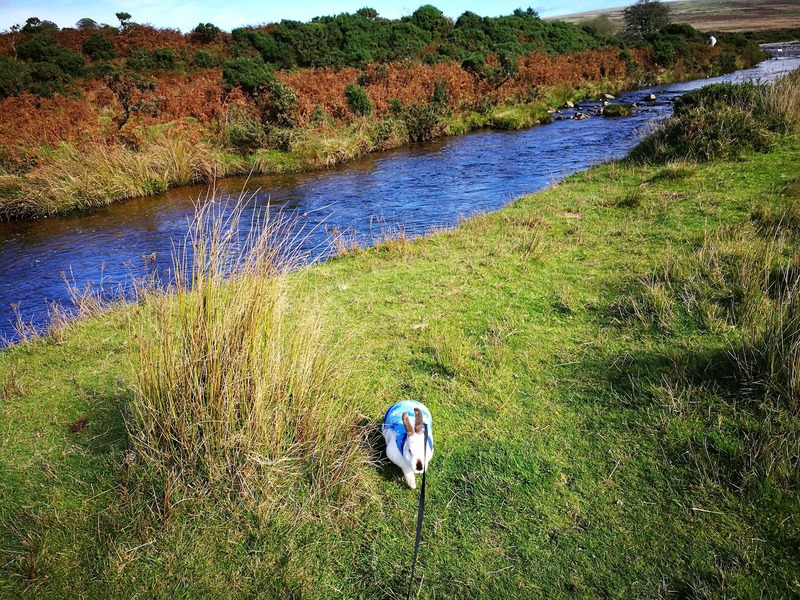 and then today we just went to a local stretch of the moors…. 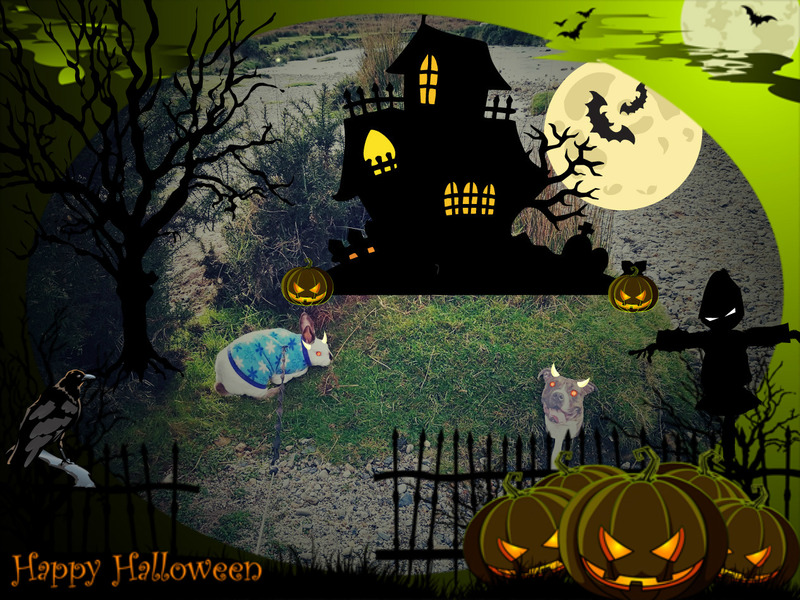 Now don’t forget to come back tomorrow for my Halloween Special! 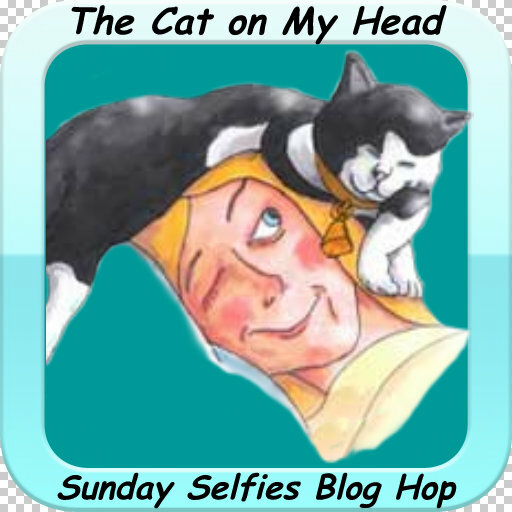 Sunday Selfie’s with Fido and Me! 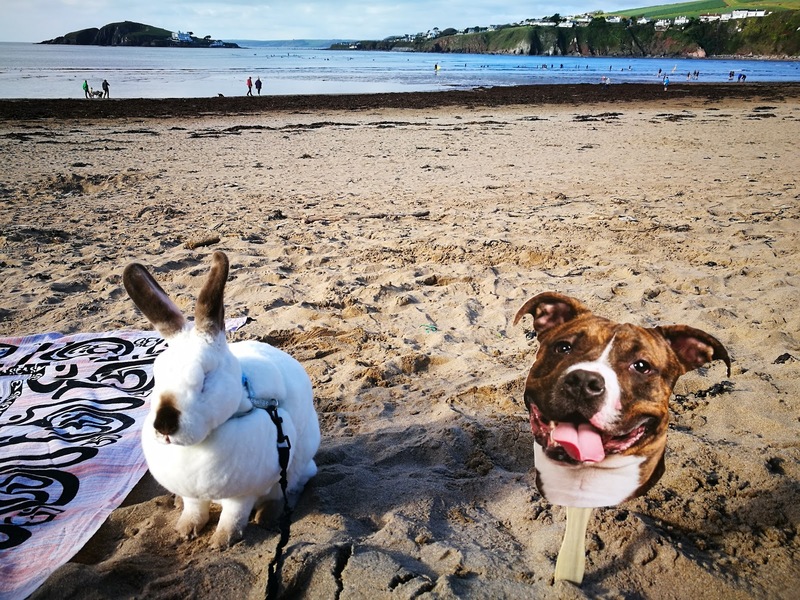 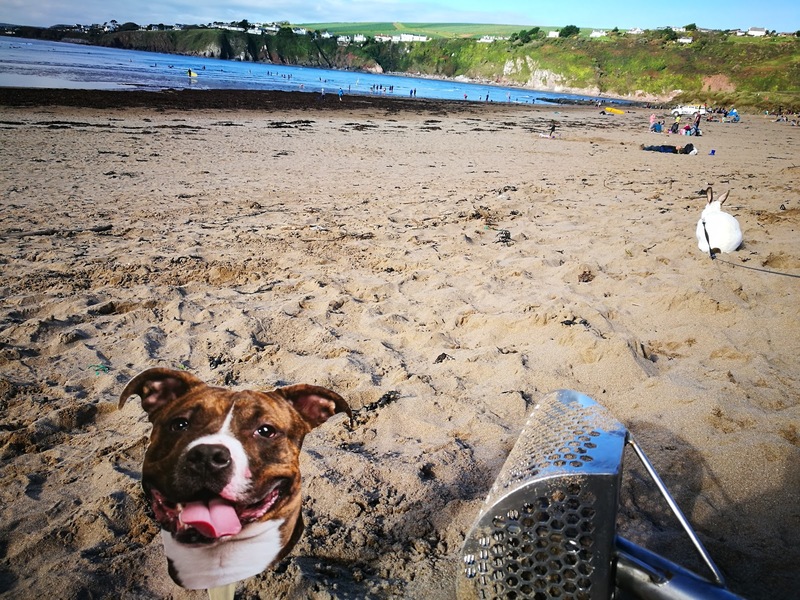 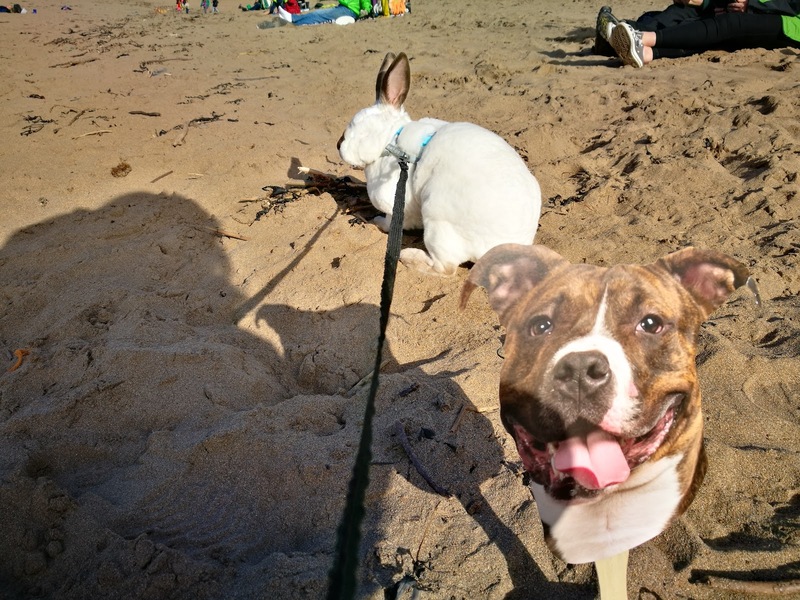 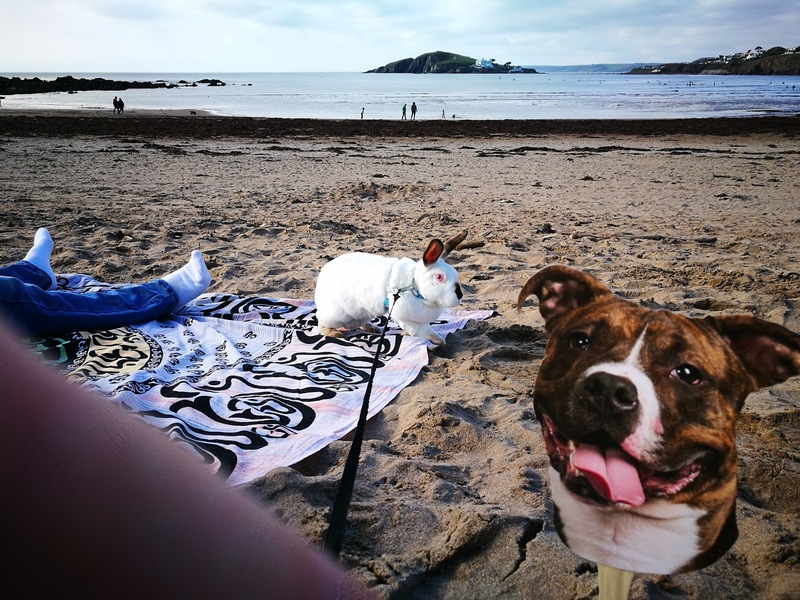 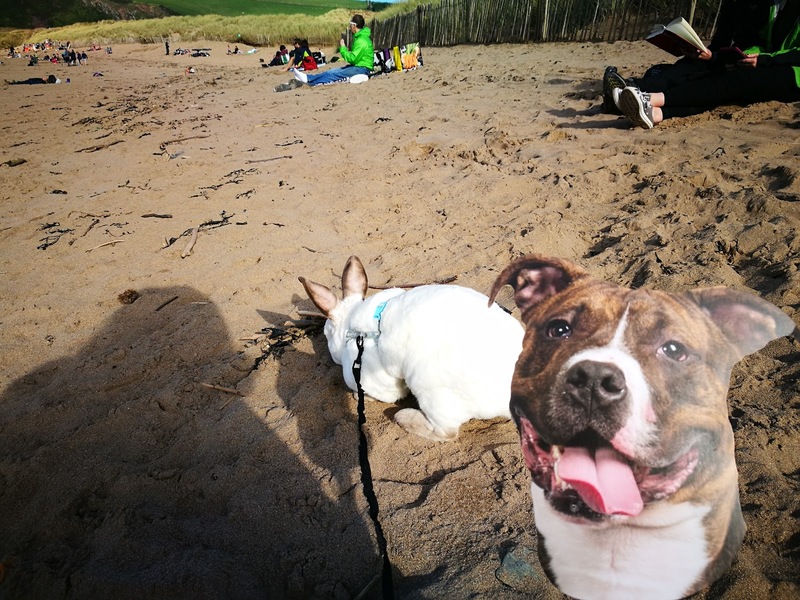 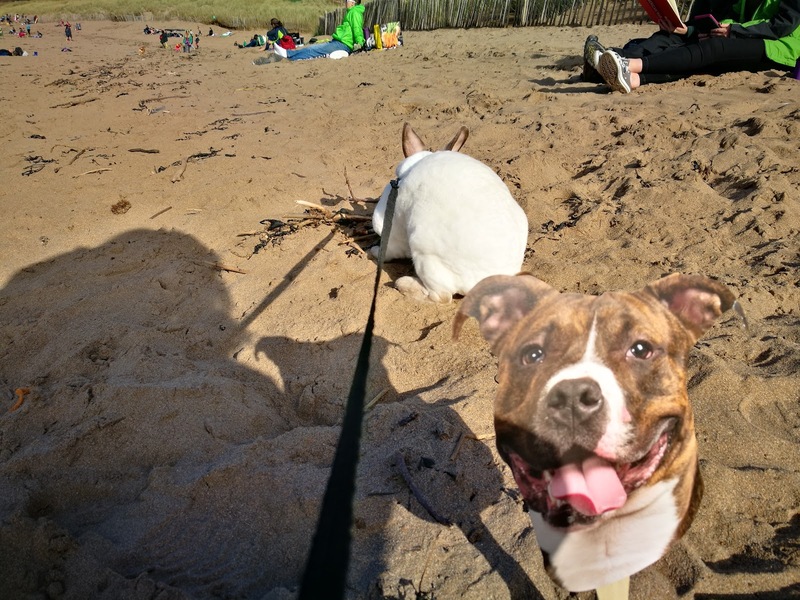 Hi everyone its time for Sunday Selfies again and for another Adventure with Fido and Me!This time we managed to get to the beach for some fun on the sand! 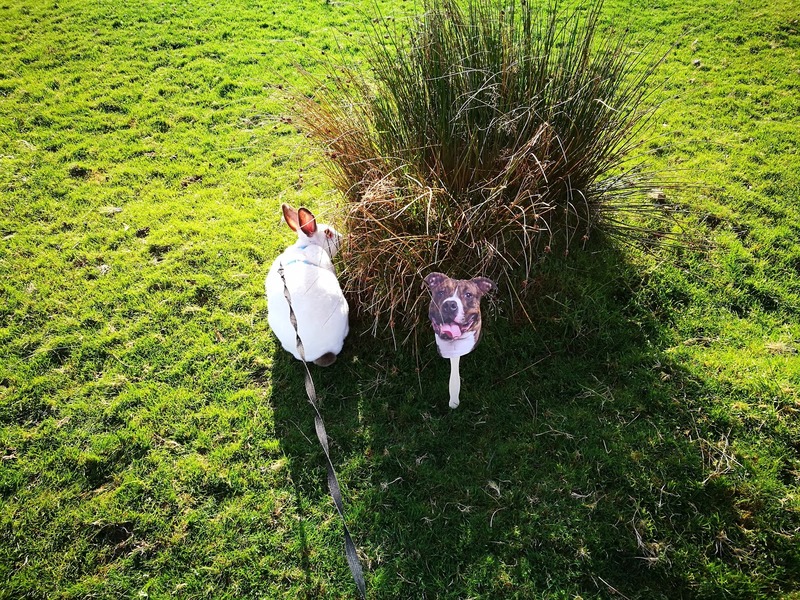 Come on Fido lets play! 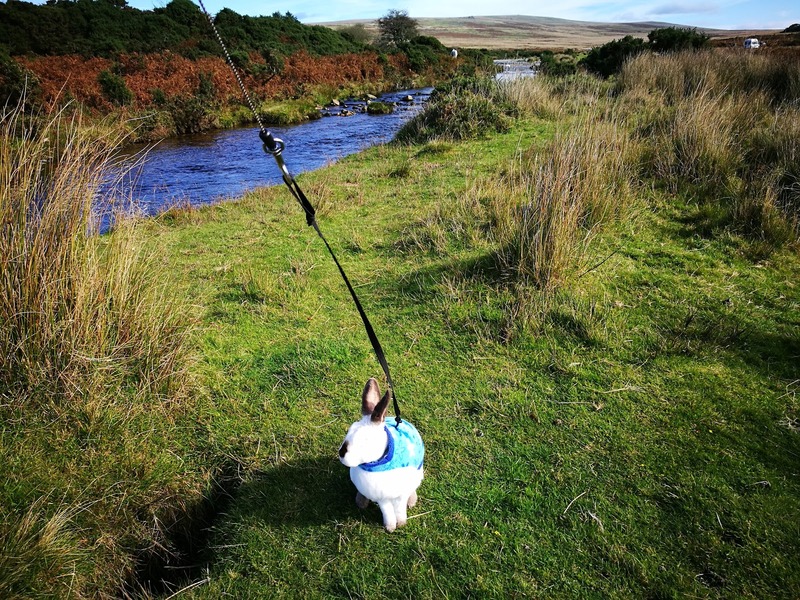 Fido’s First adventure with me! 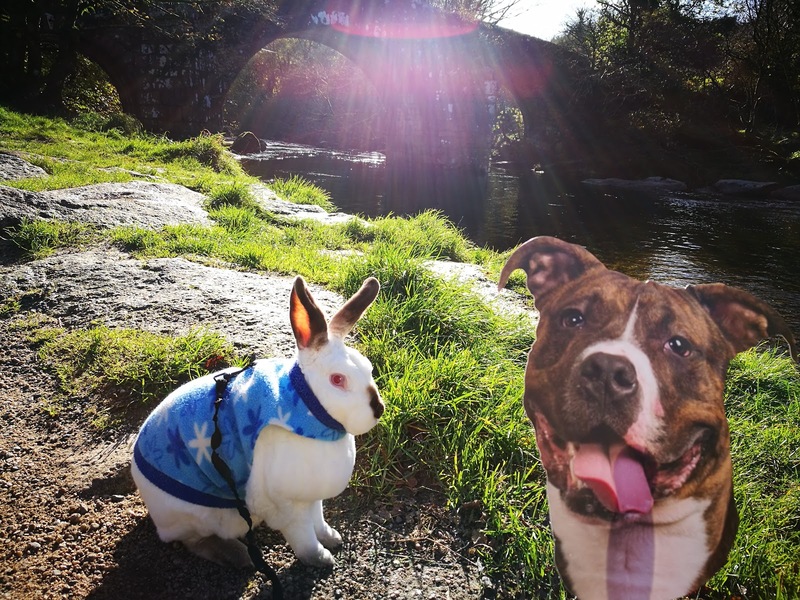 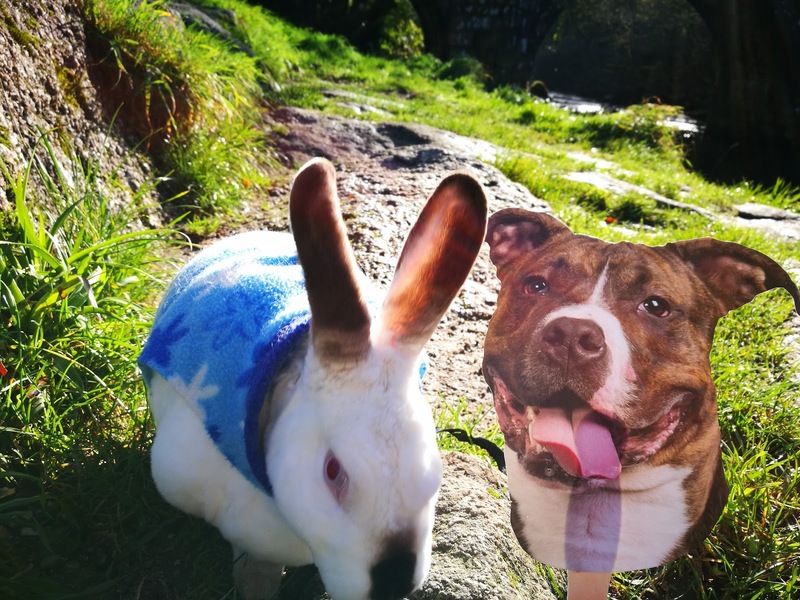 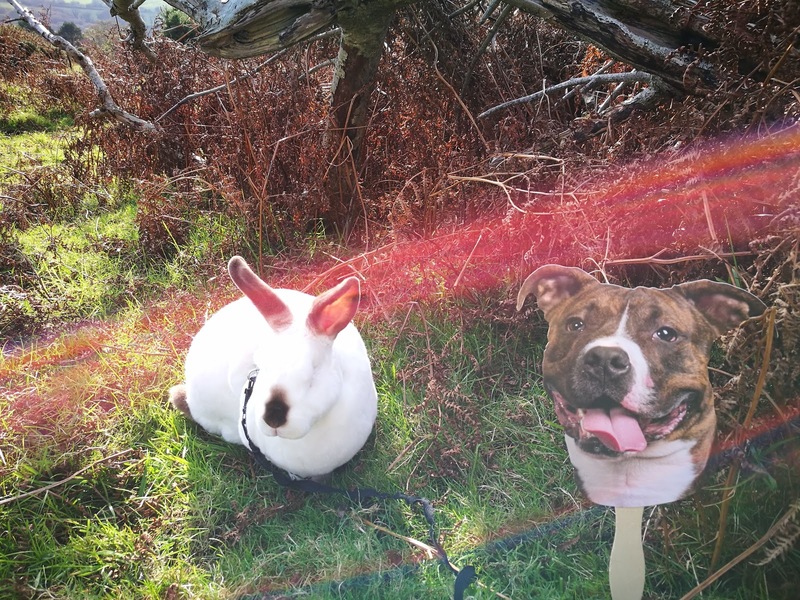 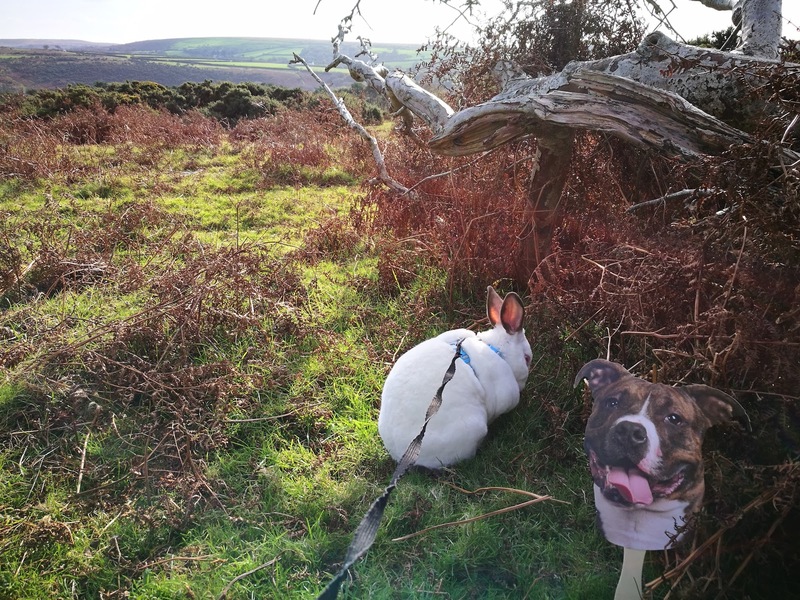 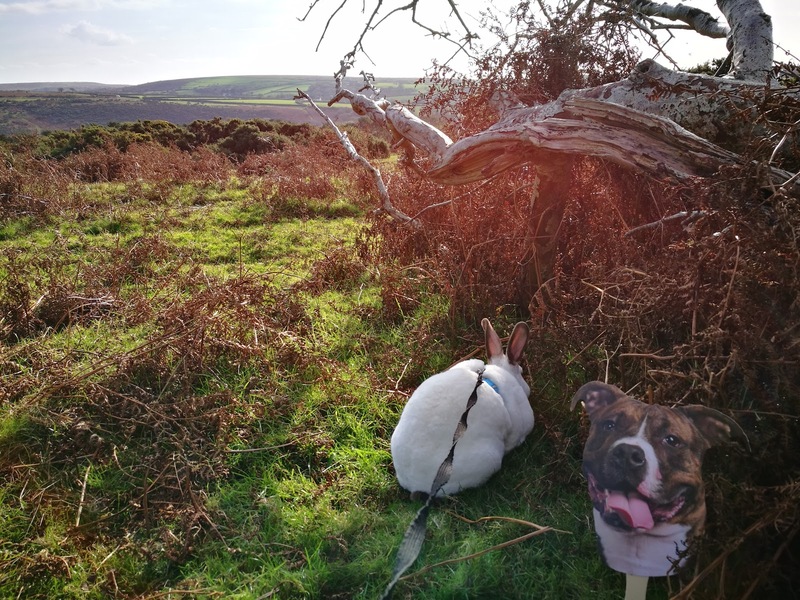 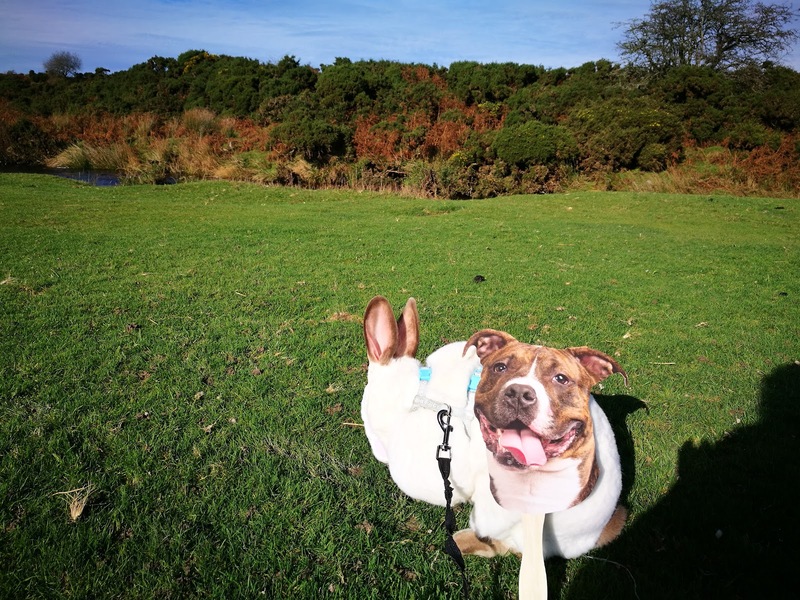 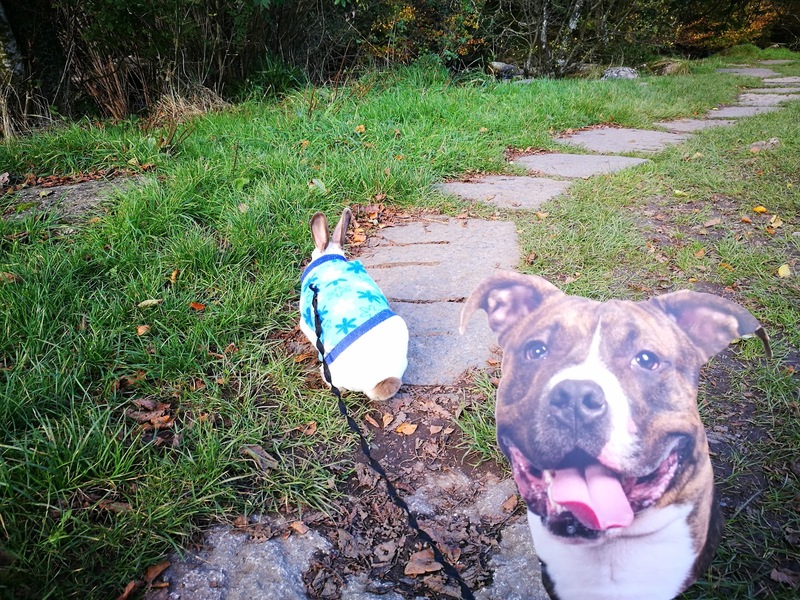 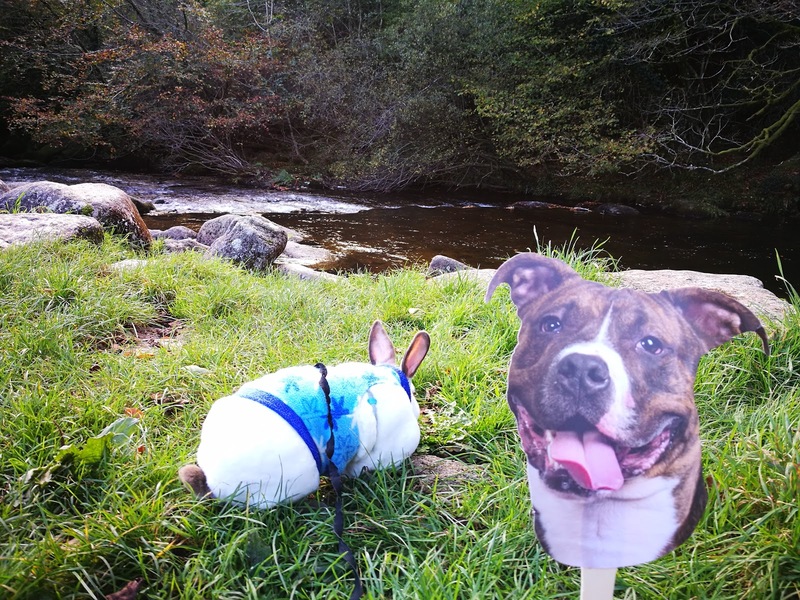 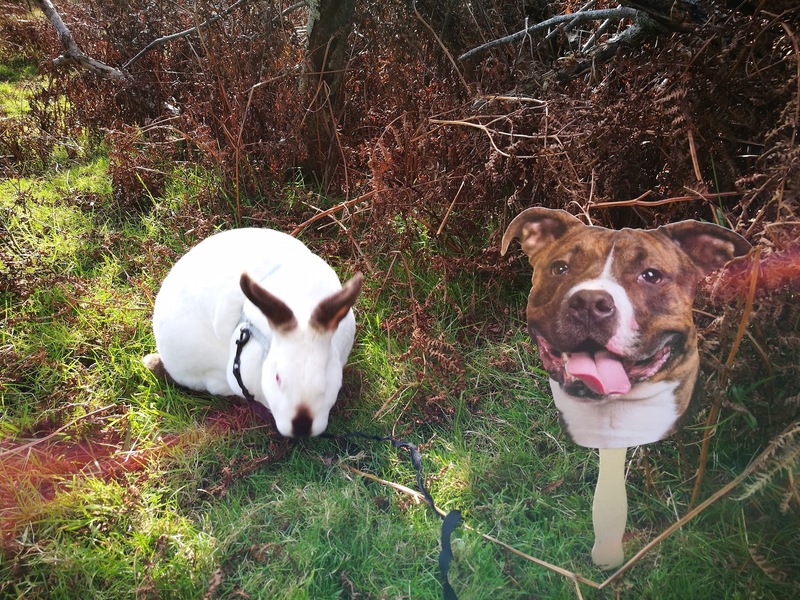 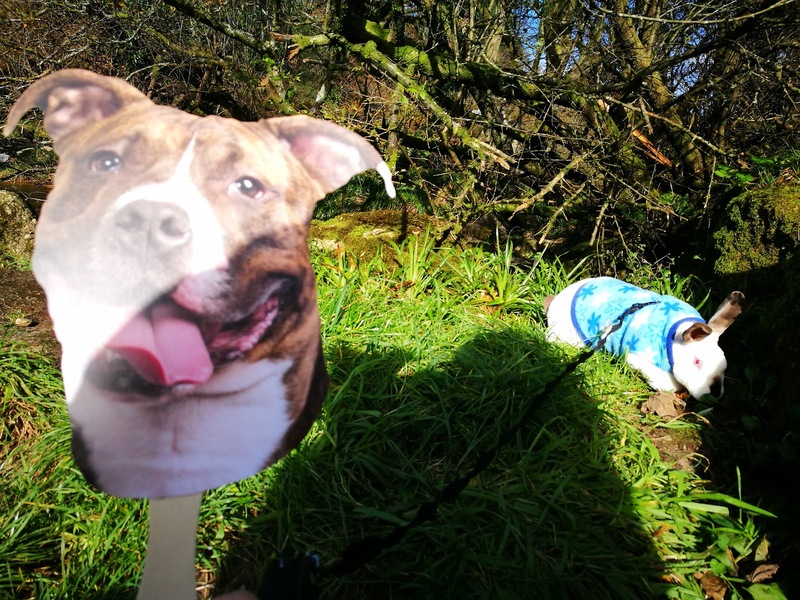 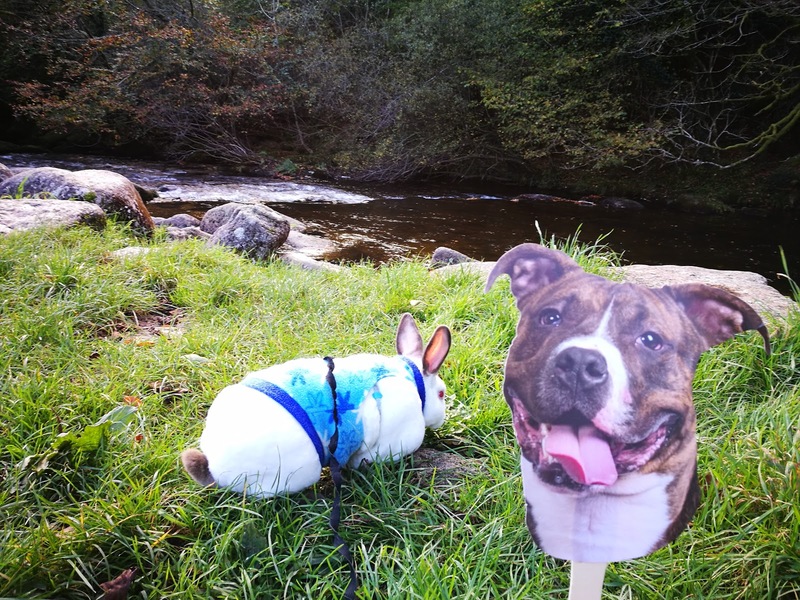 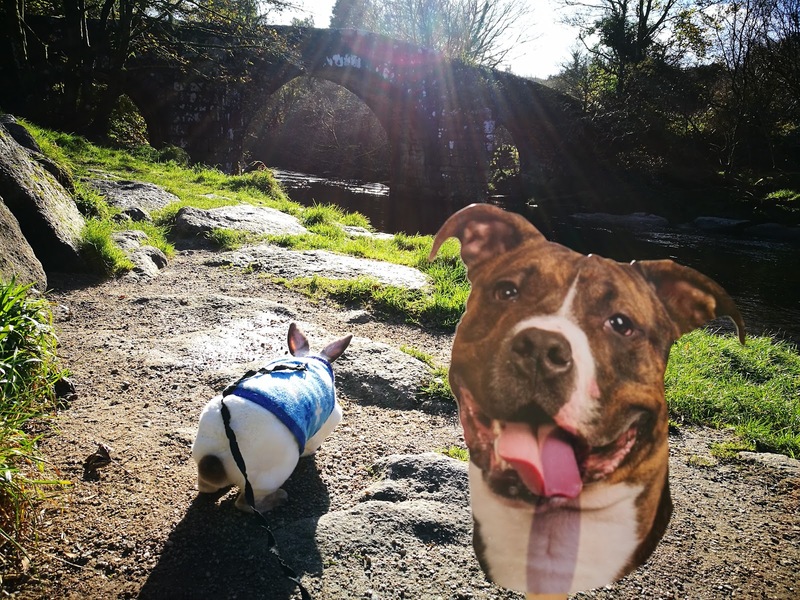 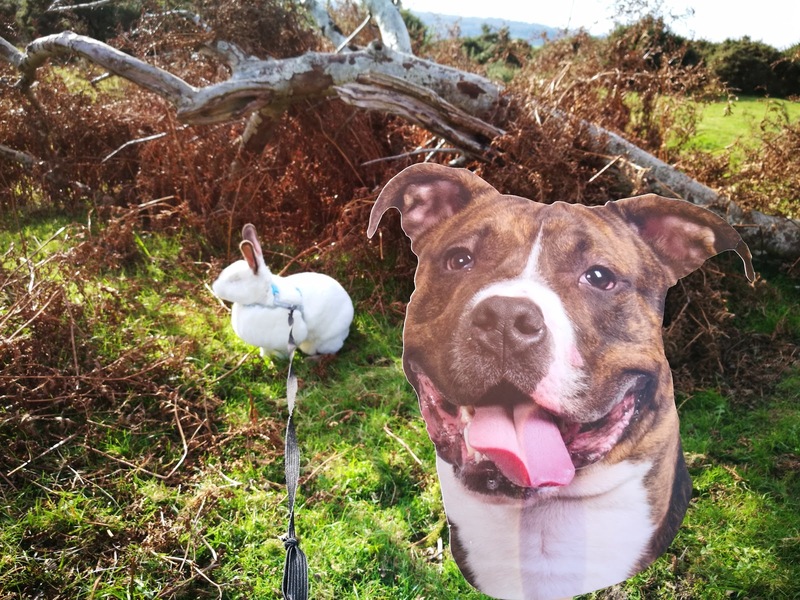 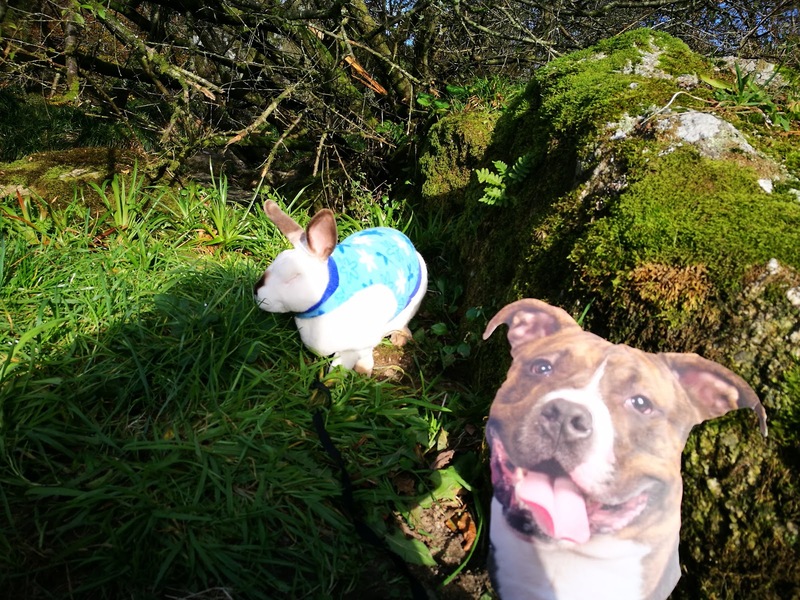 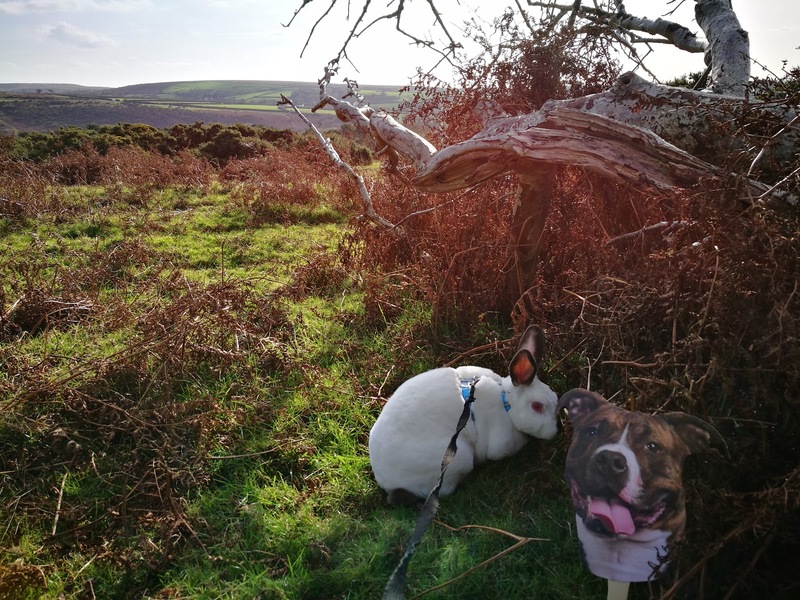 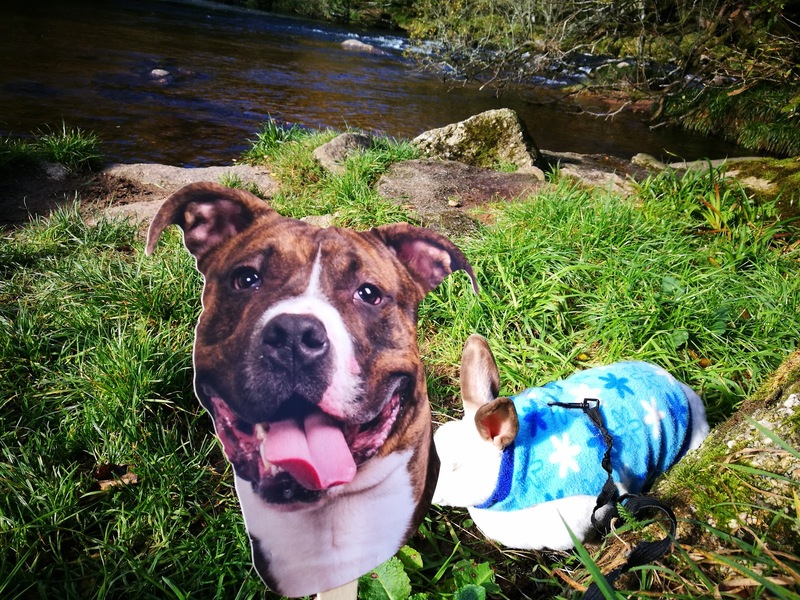 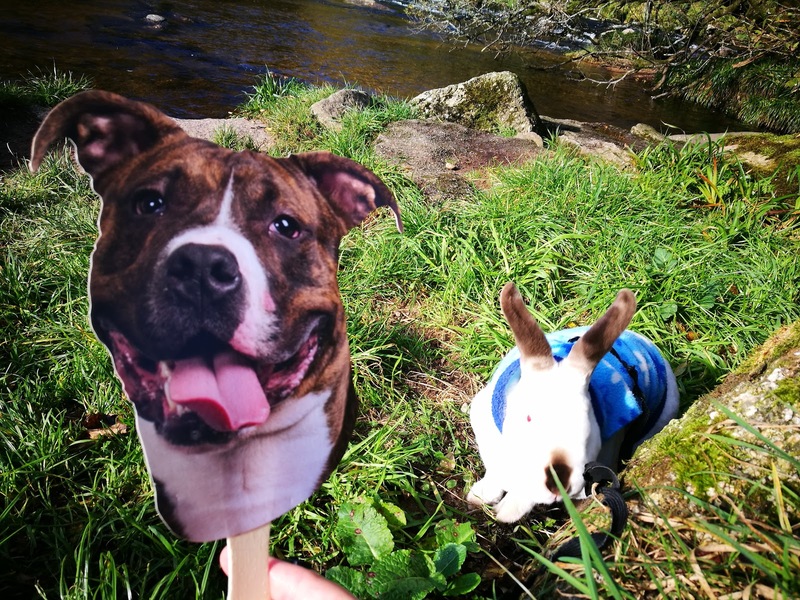 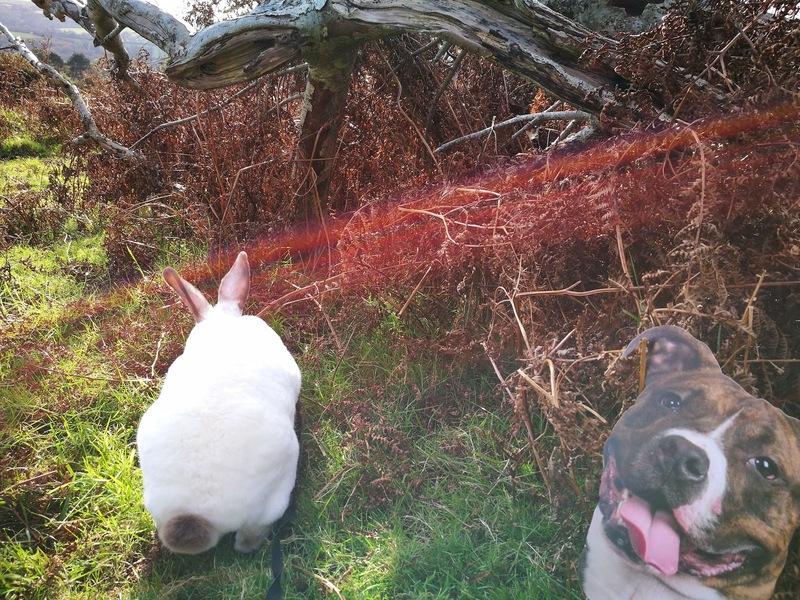 Yippee after all the rain we have been having its finally stopped and the sun came out so that means Mummy packed me and Fido (our virtual foster From the ASPCA) for our first adventure together…. 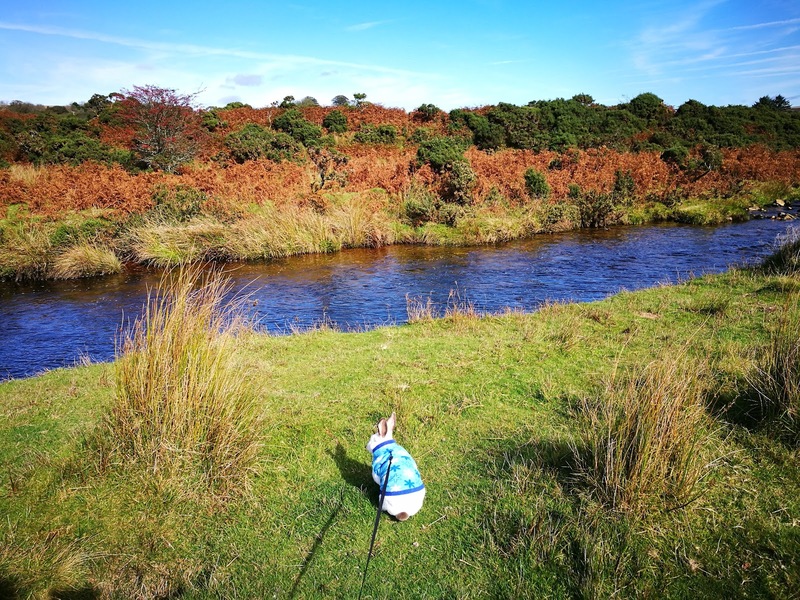 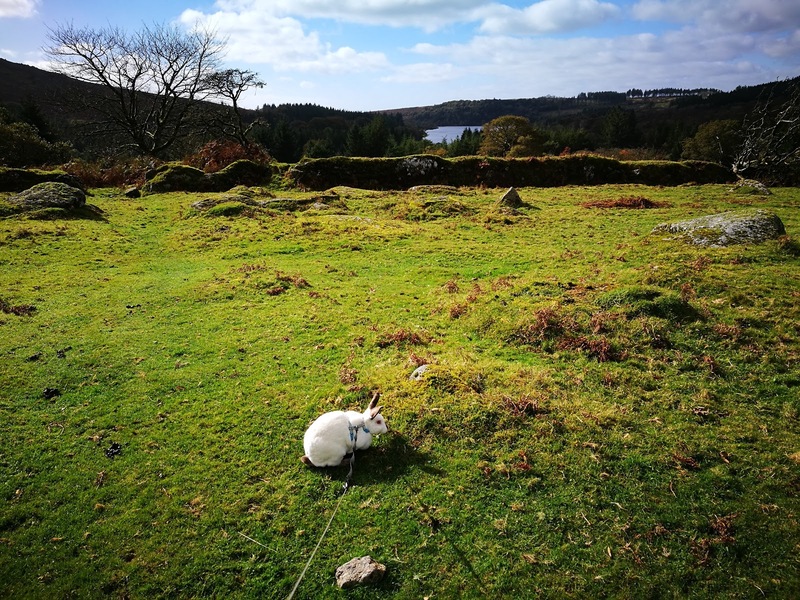 We went to one of our favourite local spot up on Dartmoor! 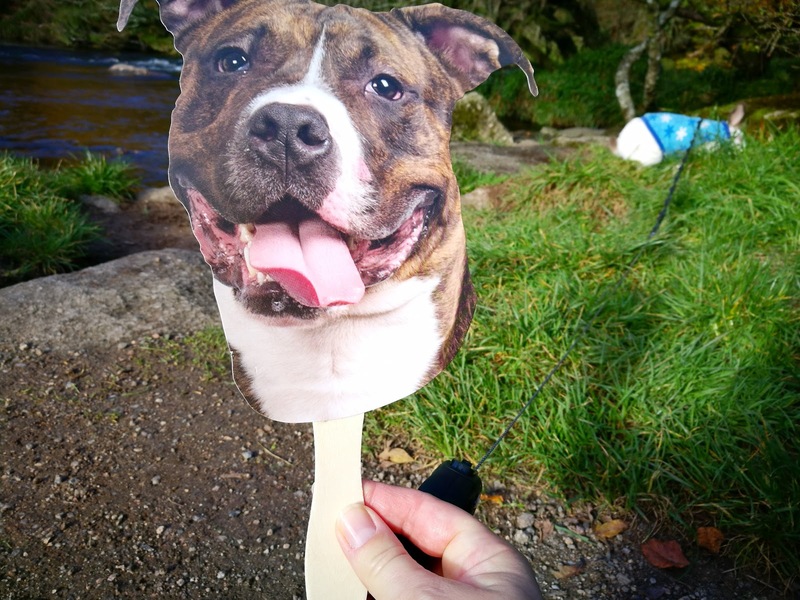 Hi Everyone,Yes its time for Sunday Selfies so I thought I would introduce you all to our Virtual Foster Fido.We signed up to be a foster for Fido to help spread the word about the ASPCA’s #FindYourFido campaign as October is adopt a shelter dog month.Well Fido arrived this week so here are some photo’s of Fido settling in and me getting to know Fido…. 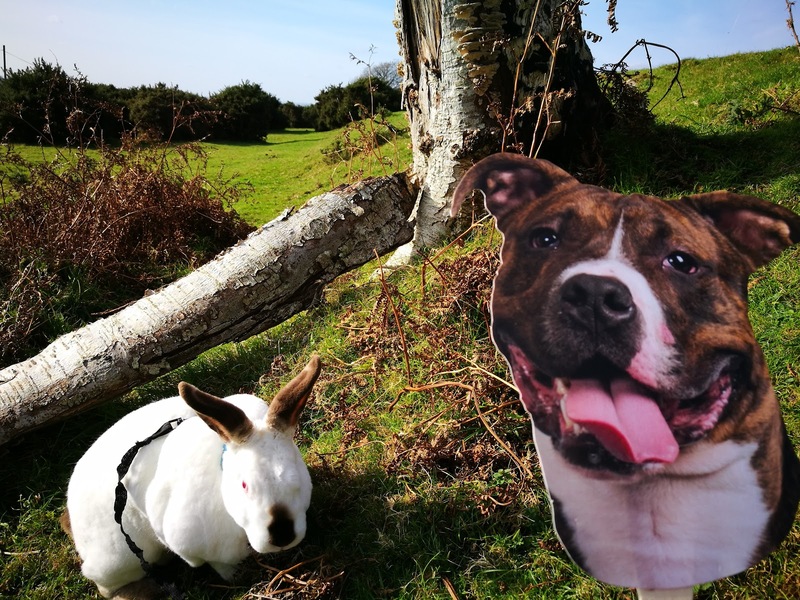 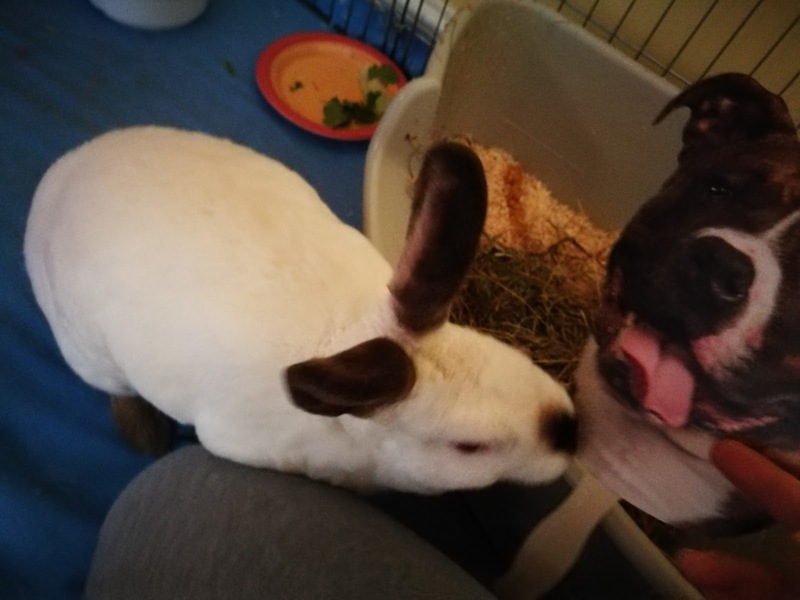 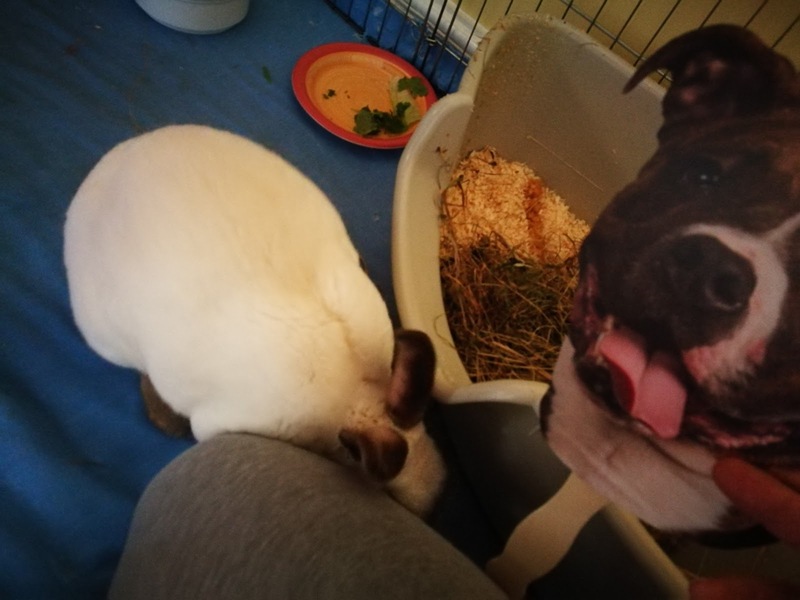 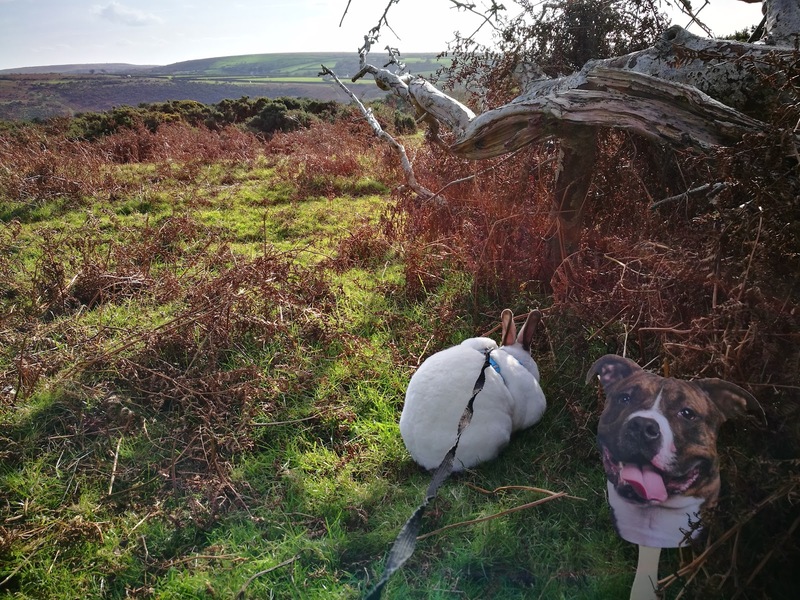 Fido will be joining me on my adventures and living with us ,sharing our lives….he even has his own bed to sleep on , we will post more photo’s later in the week! 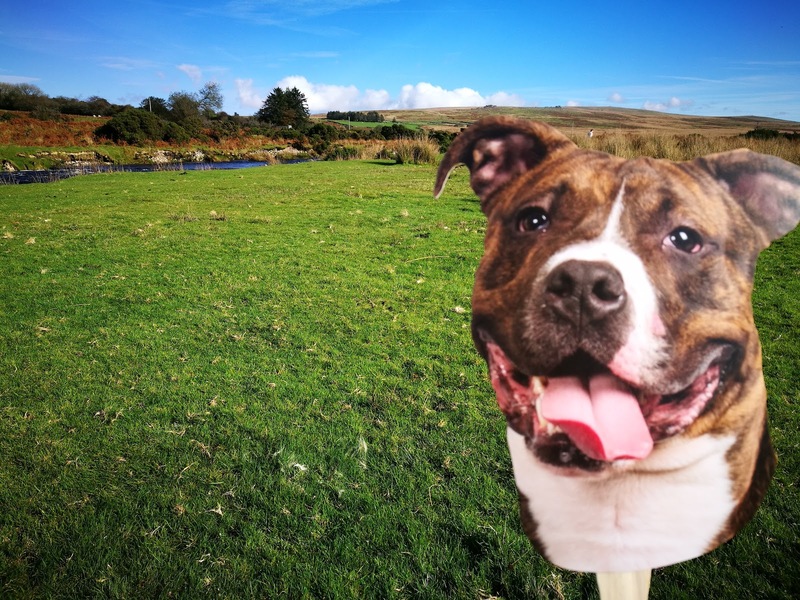 Fido our virtual foster is Here….YAY!!!!! 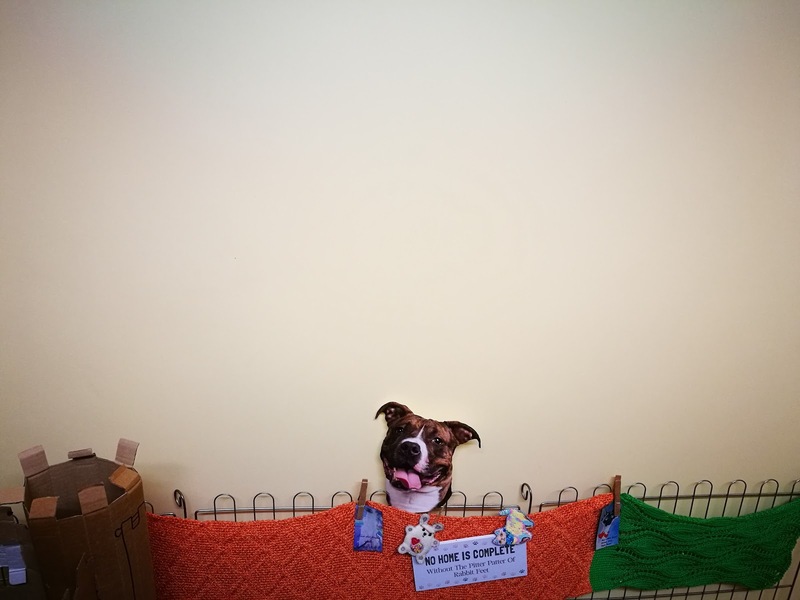 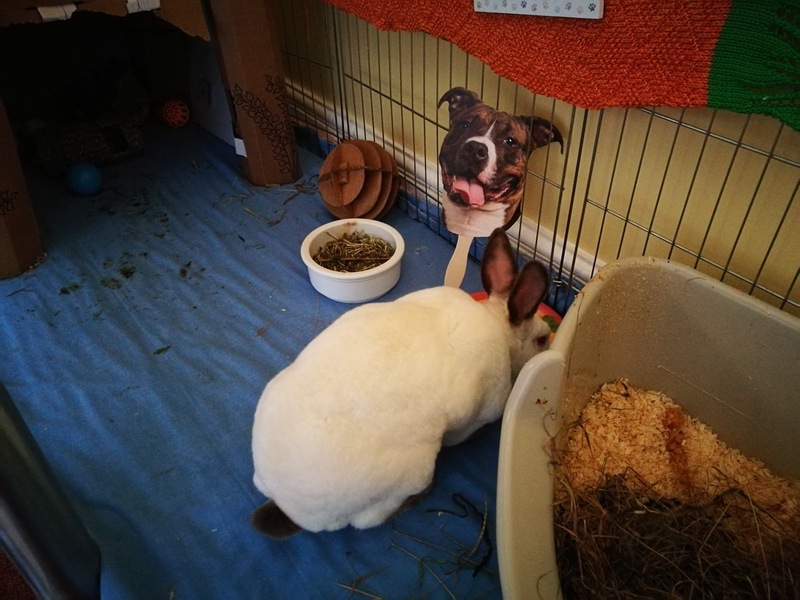 Hi everyone!Everything is very exciting our Virtual Foster Fido arrived this week from the ASPCA and this is him hanging out in my play area…. 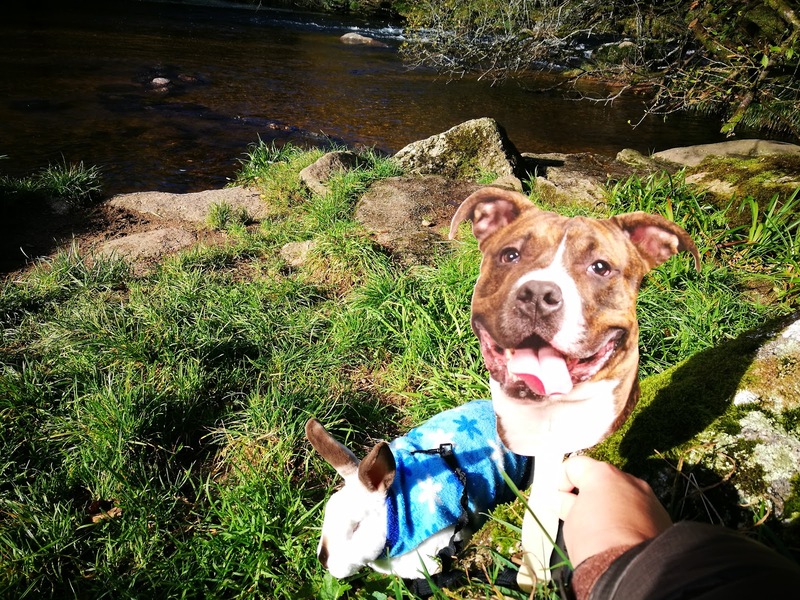 So now I get to have fun with Fido and hopefully get to share some fun adventures with him! 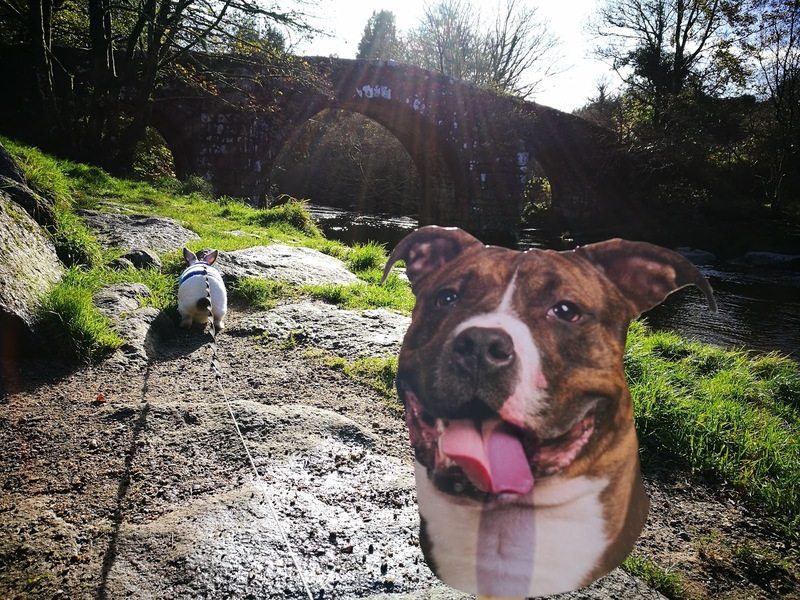 Just for fun can you guess where I am? 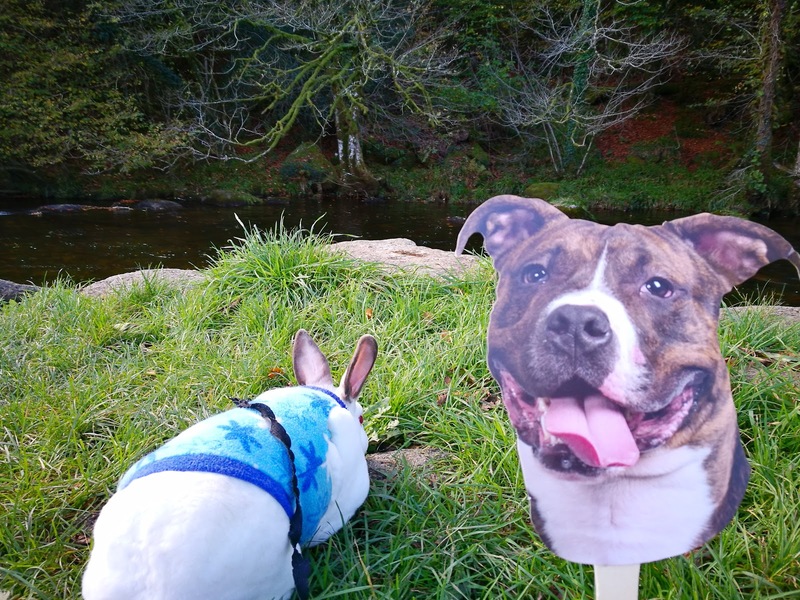 Hi everyone,I hope your having a great weekend….mine has been quiet so far for me but who knows what today may bring! 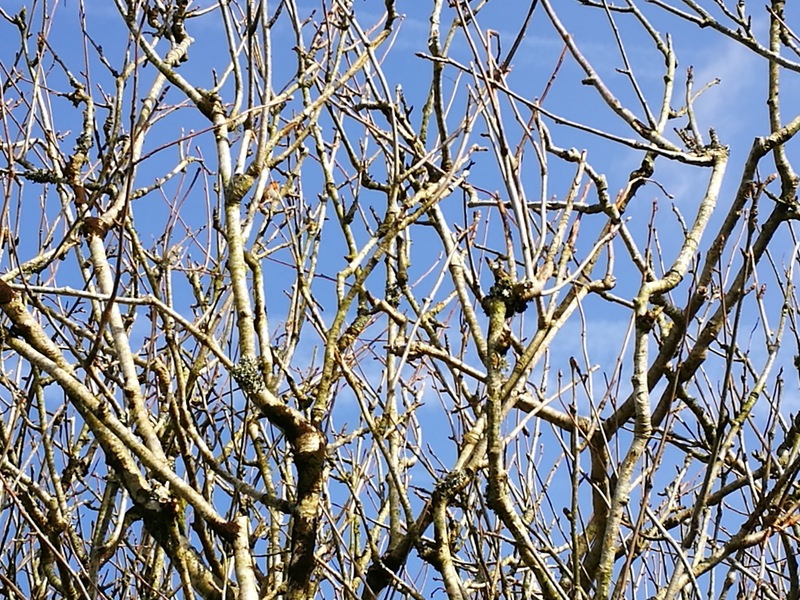 I did manage to get out for a short adventure one afternoon this week and as you can see some of the trees have lost their leaves already! 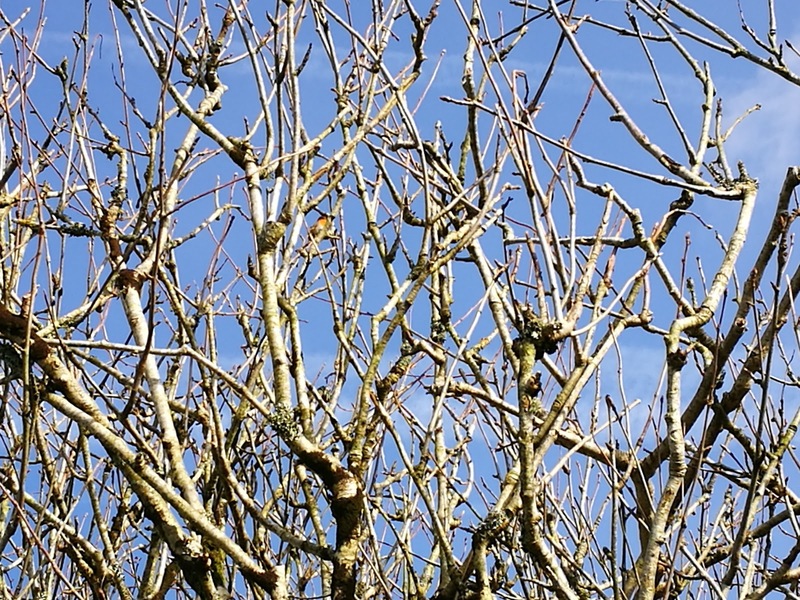 And some still have some leaves but are full of pretty colours….Isn’t that a great view?But for now I leave you with my Autograph! 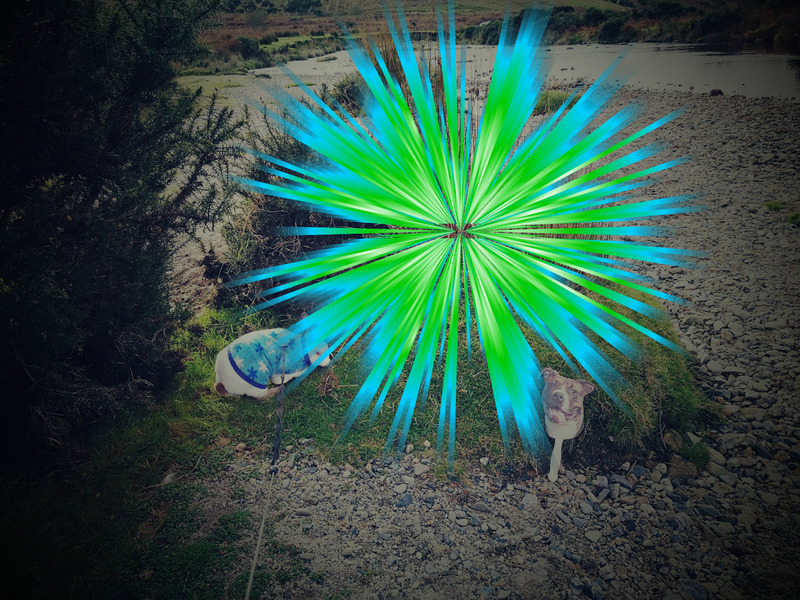 Just a little update on Mickey the Hedgehog.Mummy was a little worried about him as he was doing funny poops…green sticky snotty poops which is a sign something is not right except for just before they hibernate then they do this type of poop to purge themselves in prep for their winter sleep and its to early for that.So mum kept Mickey in the back garden for a few days and checked him over.She ended up removing around 10 tics….big ones from his body….nasty horrible things!And then kept an eye on his poops….they improved and went back to normal so that is why he was digging and scratching him self in the webcam videos as she couldn’t see any fleas on him.So Mickey is back to coming and going as he pleases so hopefully that was the problem….keep you paws crossed for him…..oh and the unwanted guest rat well it hasn’t been back either so all is good at my place! 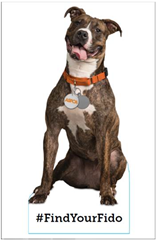 Did you know that October is Adopt a shelter dog month?Well the ASPCA asked us to Spread the word to help Shelter dogs find their forever homes with a campaign called #FindYourFido to show the public just how easily a shelter dog can fit into your lives and home ! 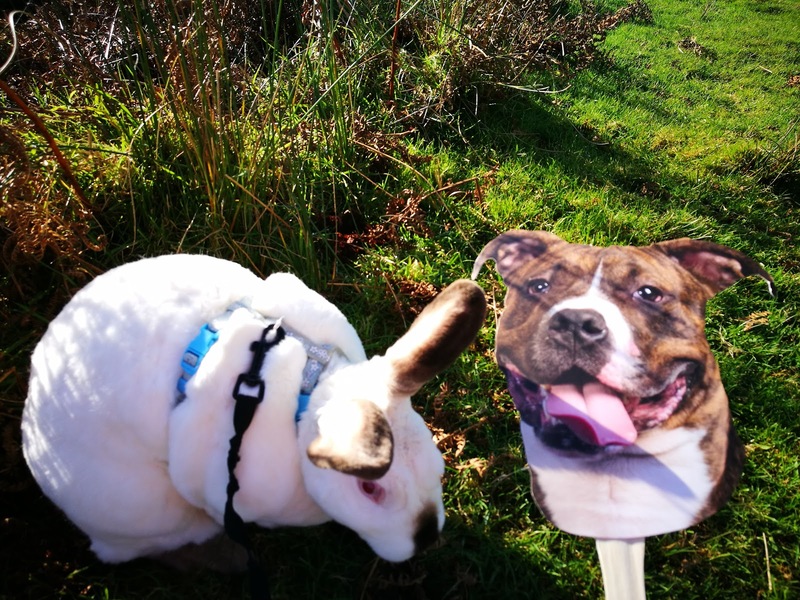 All over the US Cardboard Cut outs will be travelling to Virtual Fosters where they get taken on lots of adventures with their host families who post those photo’s on social media like Facebook and twitter to promote adoptable shelter dogs all over the country using the #FindYourFido and here’s how you can join in…..
You can post a photo of your pet looking adorable and why adoption is important to you or you can ask to join it and be a virtual foster for Fido and post photo’s of him joining in with you adventures with the same #FindYourFido or you can do a blog post the ASPCA’s Campaign! 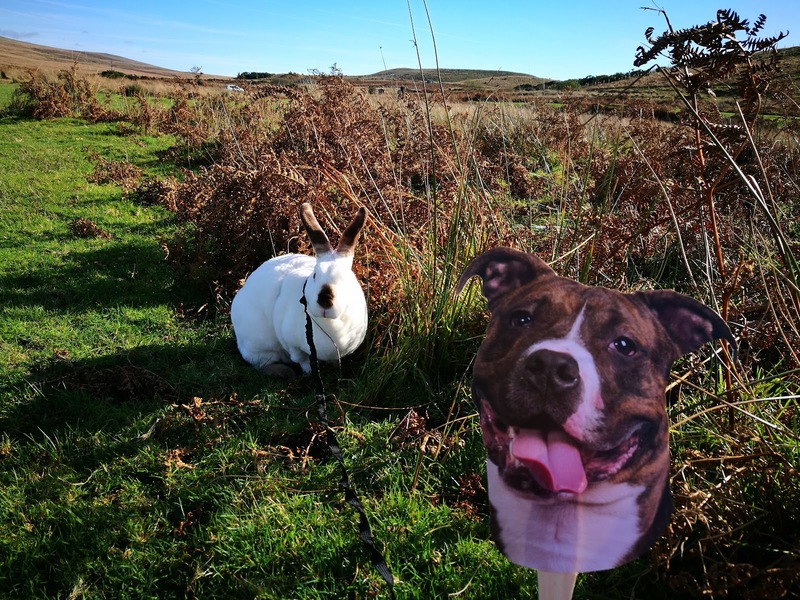 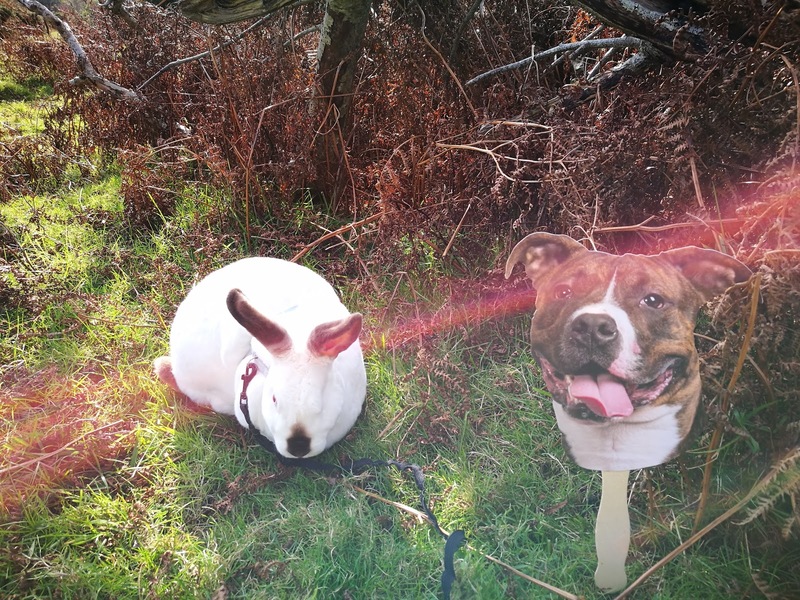 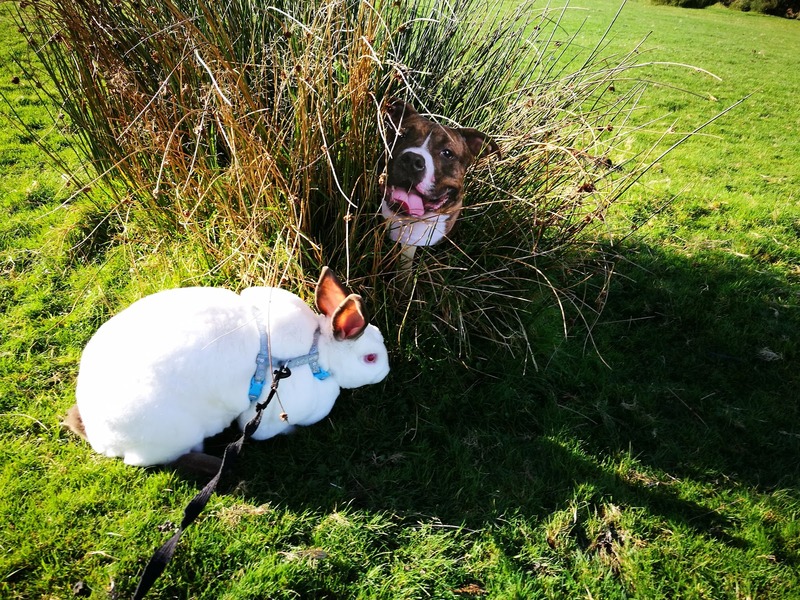 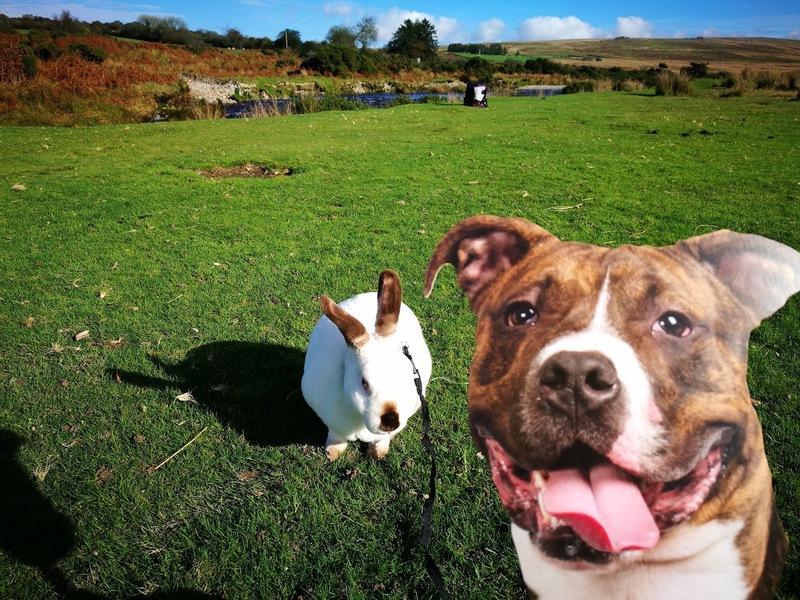 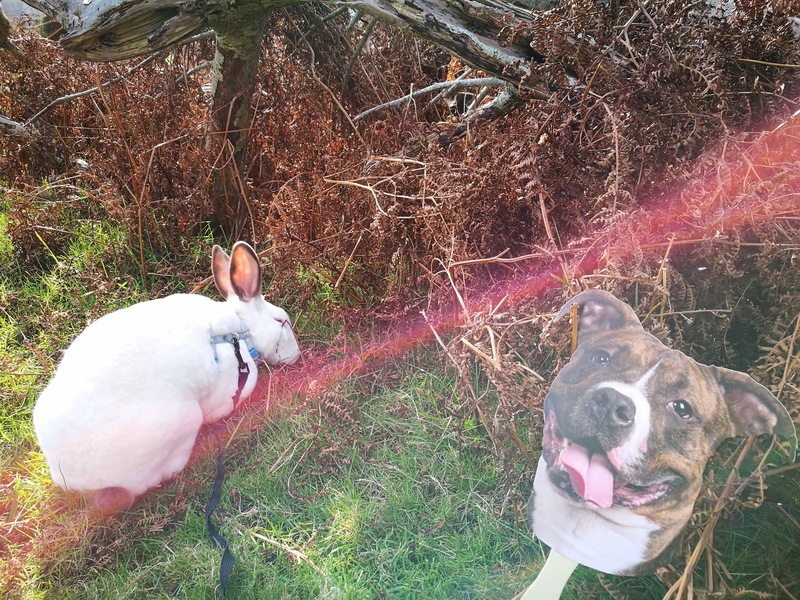 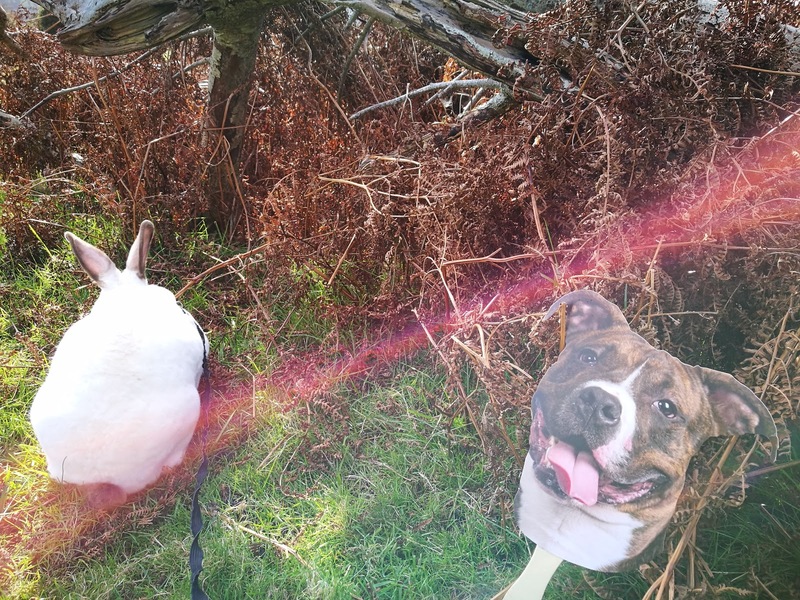 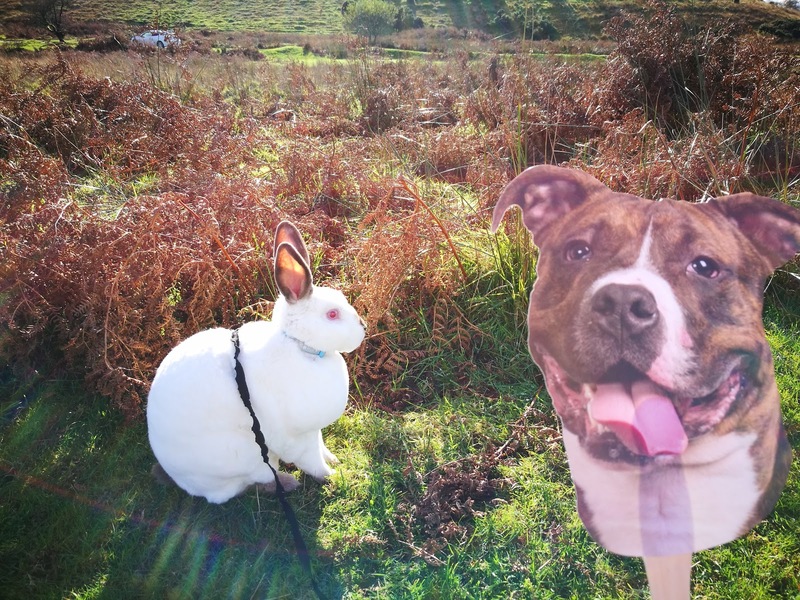 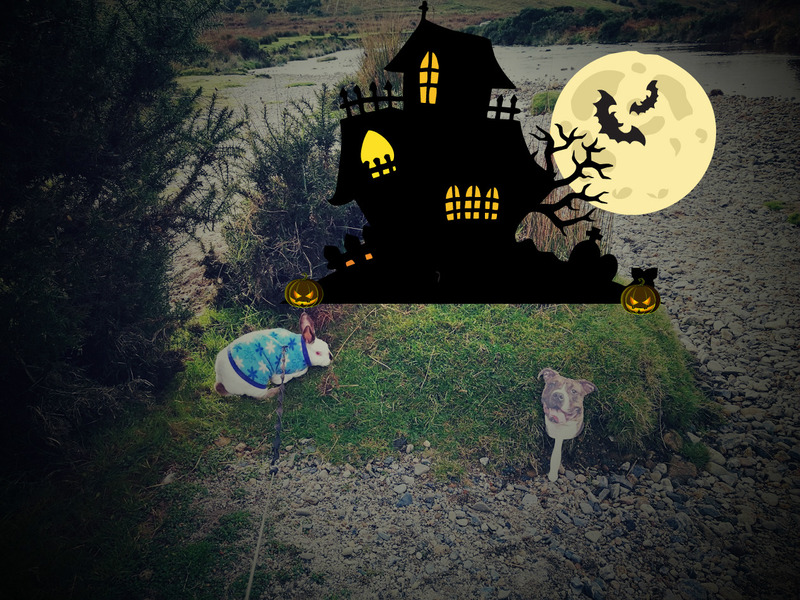 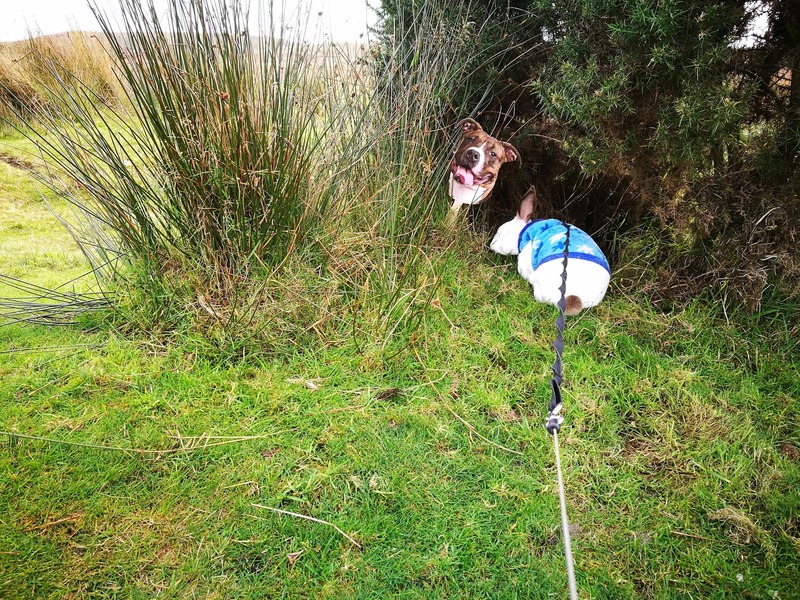 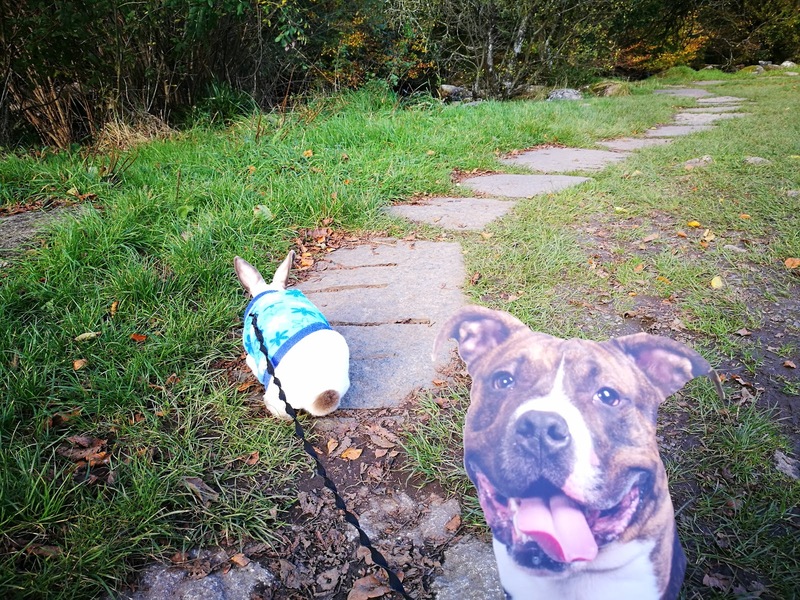 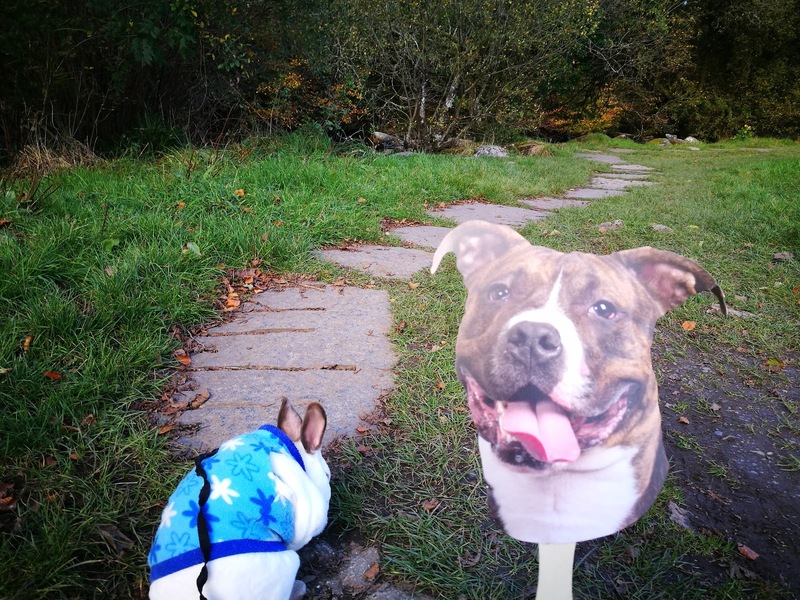 And Guess What….Fido will be coming to the House of Speedy to join me on my adventures so watch this Space….we are going to have so much fun!This Campaign can also help Shelter dogs here the UK by highlighting the need for homes for adoptable dogs here too….or any pet! 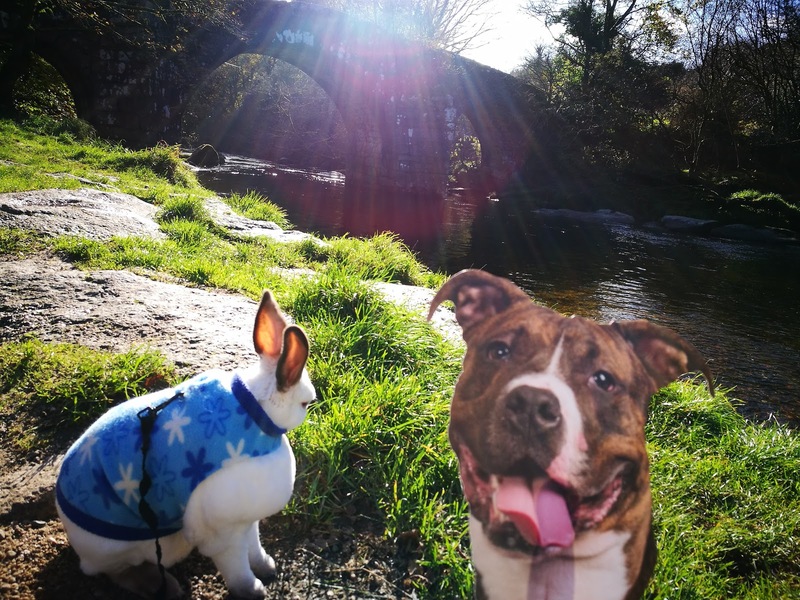 Hi everyone!I hope you’re having a great weekend shame it will soon be Monday morning.Anyway some more adventure stuff for you all! 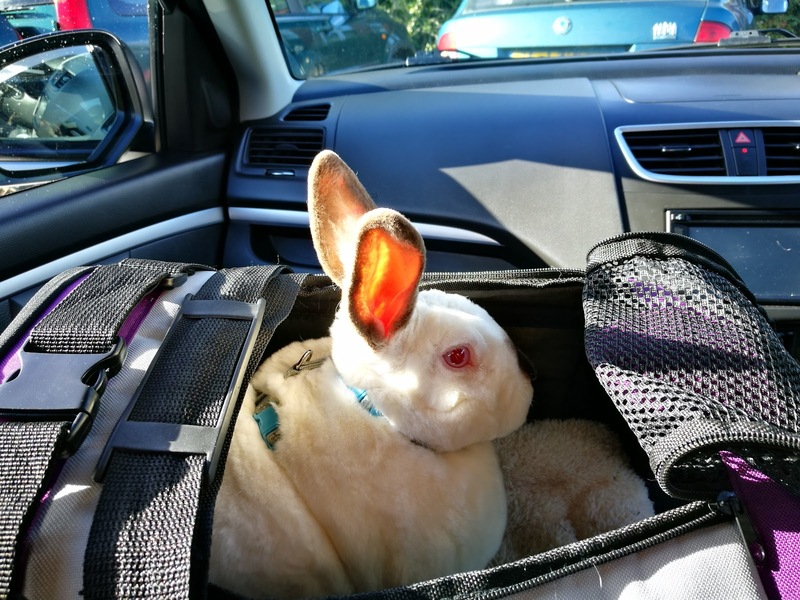 Here’s me in my New Carrier as we’re about to set of for an adventure!Mummy and I really like this carrier so soon we will be ready for a review but for now here’s my adventure! 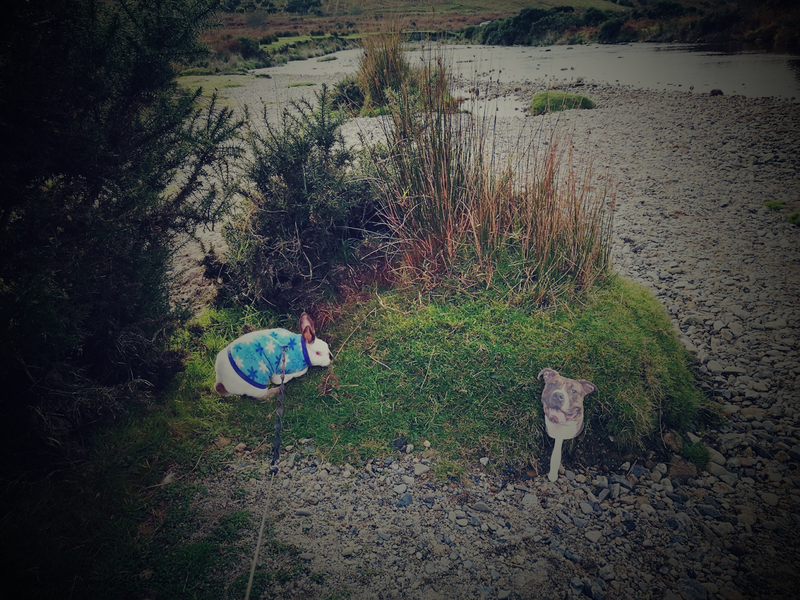 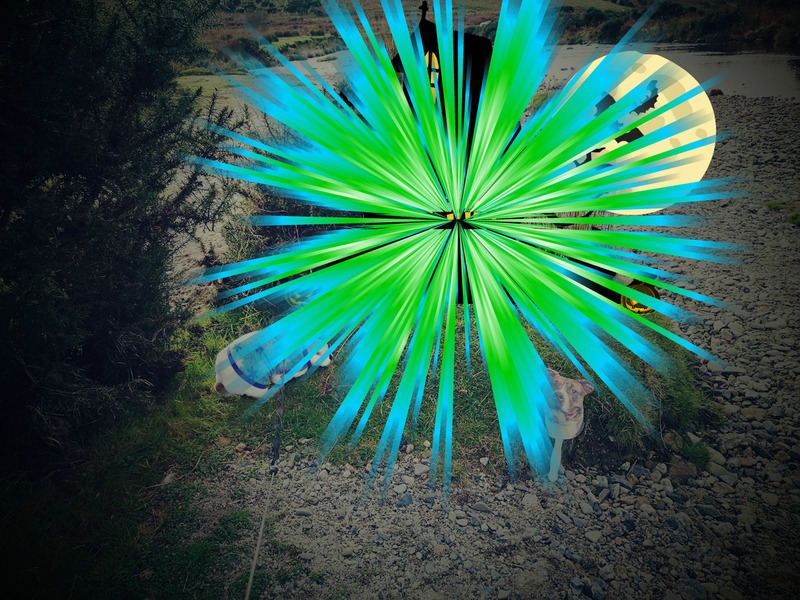 Yes we are by the river again…I so miss the beach! 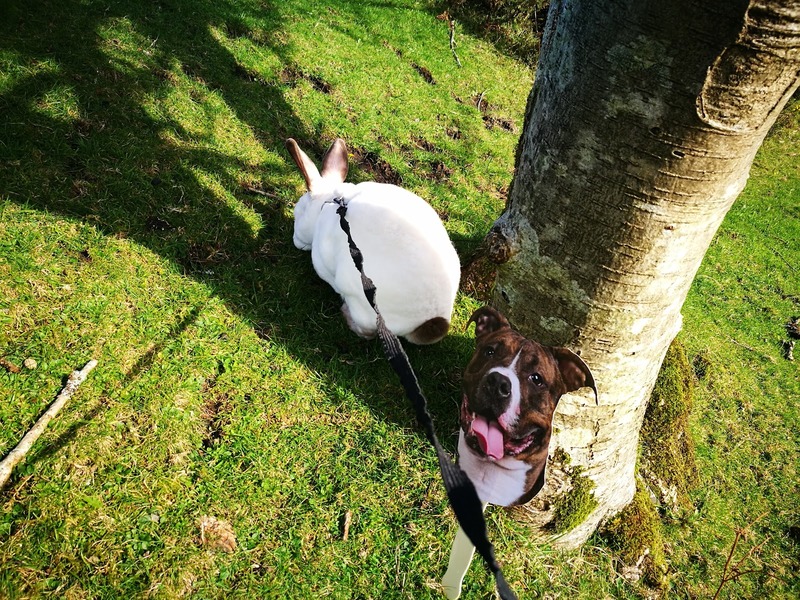 Mummy was trying to get some semi aerial shots not sure that they worked but they turned out nice enough! 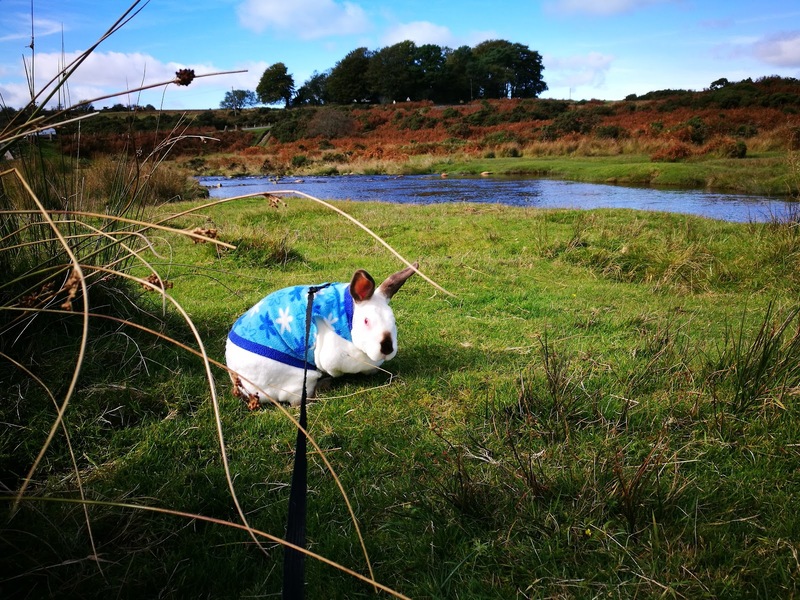 And in case you missed Mickey the Hedgehogs Update take a look HERE! 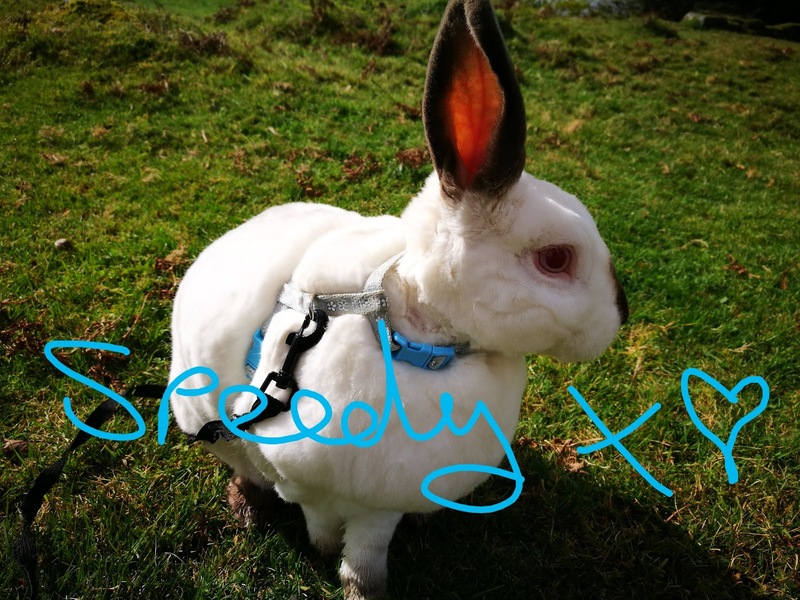 No More Scares Mr Speedy! 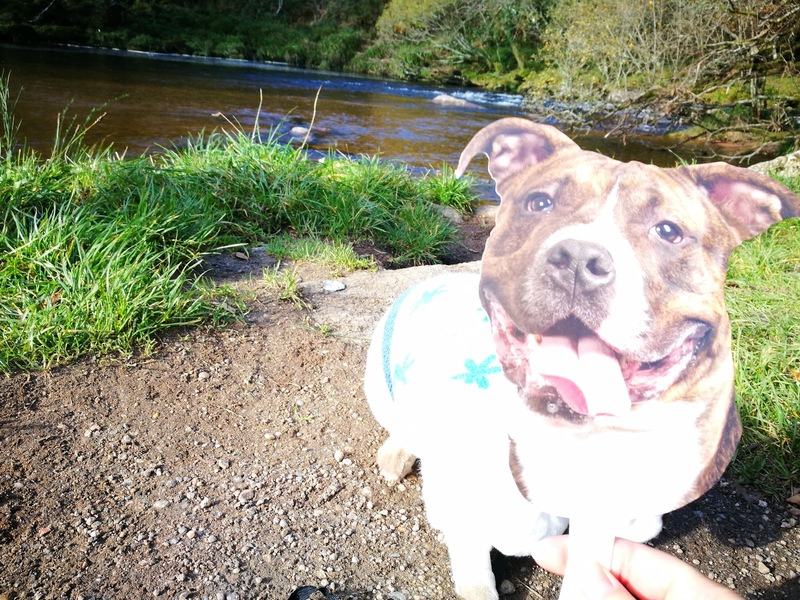 Sunday Selfies Time for St Patrick’s Day! 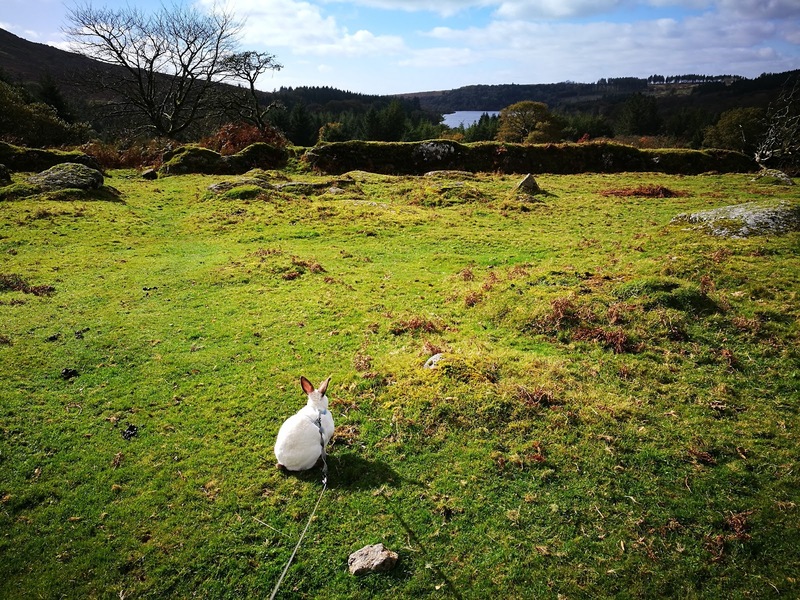 A photographic account of my holidays and maybe some other photos too.